When I first moved to this area, I had a torn and twisted meniscus in my knee. I hate to go to doctors and in the States I had no medical insurance. I limped around on it for fourteen months. Finally, I couldn’t stand the pain any longer and I hobbled into Dr. Leon’s office on the carretera in Ajijic. I had heard many great stories about him from the Americans around the Lake Chapala Society. He looked me over and referred me to an Orthopedic Surgeon, Dr. Gomez. He comes in there once a week. He sent me for x rays. As soon as I saw Dr Gomez, he arranged for me to have the knee operation at a private hospital in Guadalajara. He met me at the front door and stayed with me after the surgery. The hospital was beautiful. The lobby was like a first class hotel. Check in was quick and easy. No long forms to fill in. He made sure I got safely into a taxi for my home. Within a few months I was walking around town as if nothing had ever been wrong with my knee. This entire operation cost me 2,000 dollars. My friend in the States had a similar operation at the same time and her insurance company was billed 45,000 dollars for it. Something is very wrong with this picture. A year later, I slid across my lawn, banged my head into the wall and hurt my wrist. I waited two days before I went to see Dr. Leon again. He sent me for X rays and I found out that my wrist was fractured in two places. He gave me a flexible cast and I was on my way. Total cost was less than fifty dollars. You are probably thinking of me as a klutz by now. I admit that I am kind of clumsy. Less than a year after my fractured wrist, I slipped into the lake and broke my ankle. This time my landlord took me to the Ajijic Clinic. Dr. Alfredo Rodriguez Magana took x rays. He has an X ray machine there and full operating room. He said I needed an operation for a broken bone. It was going to cost me two thousand dollars. I had just a few months earlier signed up for the Mexican National health care System, IMSS. I had heard that they don’t pay for anything except immunization shots and emergencies in the first two years. I thought of my broken bone as an emergency so I talked my landlord into taking me to the hospital in Guadalajara. 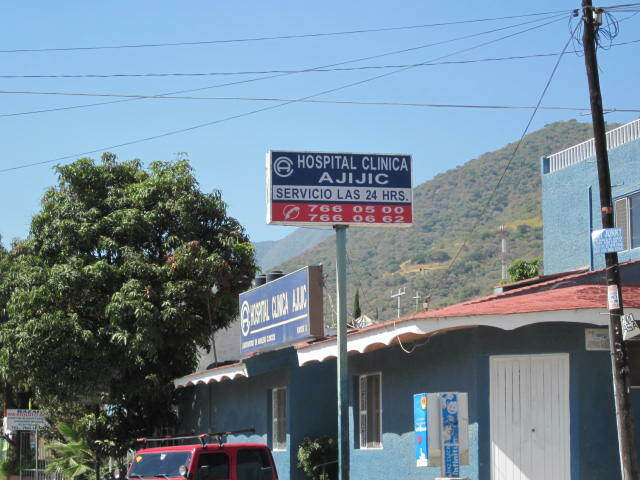 In order to go to that hospital, I first had to go to the clinic in Chapala to get a referral. That took a couple of hours. They offered to take me to the hospital by ambulance for no charge. The entire operation would be free too. What a deal! My landlord said he would drive me instead because once you arrive at the hospital you have to have someone with you to speak Spanish. Someone also has to stay with you because they are overcrowded. They do not have enough nurses. You bring your own. You have to bring your own toilet paper, soap and paper towels. They don’t have any wheel chairs available either. It was extremely crowded. I couldn’t do much complaining because people all around me were in much worse condition. Eventually, after five hours of sitting on a hard chair with my leg swelling, I told my landlord I had to leave. I was starting to panic. All the doctors I know in this area have trained through IMSS. I have heard nothing but good things about the doctors working in the IMSS system. But I will not go again unless I am number one or number two on their priority list. When you go in, they assess your needs. I was down to number four. There are only five levels so you can see how I ranked. I was told that it might take up to a week of waiting in a hospital bed before they could get to my surgery. I was also informed that during that I would be heavily drugged and cauterized. That scared me. I had my landlord take me back to the Ajijic Clinic. They took me right in. My blood pressure was high and my leg was too swollen at that point for them to do the surgery. I was in their hospital room for two or three days. I was getting a morphine drip so I can’t tell you how many days it was but I can tell you that they provided excellent care for me. I had a private room. The nurses and doctors checked on me often. They were all kind to me. A father and son, both named Dr. Alfredo Rodriguez Magana, run the Ajijic Clinic. The son was treating me along with the orthopedic surgeon, Dr. Luis Armando Ahumada Valenzuela. He did the surgery and I am healing quickly. It was the best two thousand dollars I have ever spent. I have read about other people paying 16,000 for that same surgery in the States and that isn’t including the cost of the hospital bed for several days. 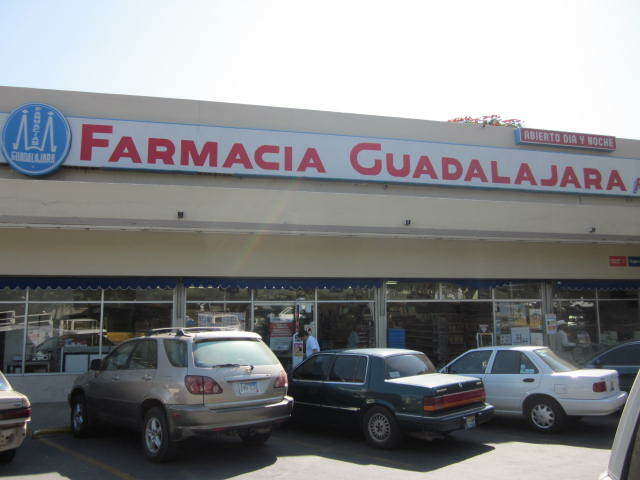 The medicine that was prescribed to me by Dr. Armando Ahumada Valenzuela for the swelling in my ankle cost less than fifteen dollars from the Guadalajara Pharmacy. They are well stocked and inexpensive. I will still renew my IMSS but I will only use it in dire emergencies, if I am sure I will be up their list as a number one or number two. But for the other surgeries (hopefully there won’t be anymore broken or fractured bones) I will go to a private doctor here in Ajijic. Every doctor I have seen here has been wonderful to me. I just looked in the Ajijic telephone book. There are 23 doctors listed in Ajijic, 6 Medical Emergency clinics in this area, 7 labs, 4 medical supply stores and 2 alternative treatment centers. Remember, there are over twenty thousand retired expats living here and many of them are over seventy years old. It is the time in our lives when we need more medical care and we want good care. The doctors at the Ajijic Clinic are great. My friend told me that the younger doctor’s wife is also a doctor and she sometimes works out of the clinic. The orthopedic surgeon comes in there often and also a plastic surgeon. I don’t know how many other doctors work out of that clinic. All I know is that I had a good experience with them and I will return when I need medical care again. Knock on wood; I won’t need much more doctoring after my ankle heals. Most doctors in town charge from 15 to 25 dollars for an office visit. Today I went in to get my stitches taken out of my ankle. Dr. Alfredo Rodriguez Magana also changed the bandages. I was charged less than fifteen dollars. He said that I will be up and walking within a few weeks. I am grateful for that news. If for no other reason, I would choose to live in Ajijic for the wonderful doctors here. They treat each patient as a person, not as a cluster of symptoms that seems to happen so often in the States. I have never been rushed out of a doctor’s office here. They genuinely seem to care for me. This sense of security in the quality of doctoring available here takes a lot of worry off my mind, especially since I do seem to have an unusual amount of accidents. The Ajijic Clinic is located in the heart of Ajijic and is open 24 hours. Their telephone number is (376) 766 0662 or (376) 766 0500. Emergency cell number is (0133) 315 79867. Dr. Leon’s telephone number is: 766 5633 His office is on the carretera half a block from Colon St.
IMSS is around 350 dollars a year, well worth it. 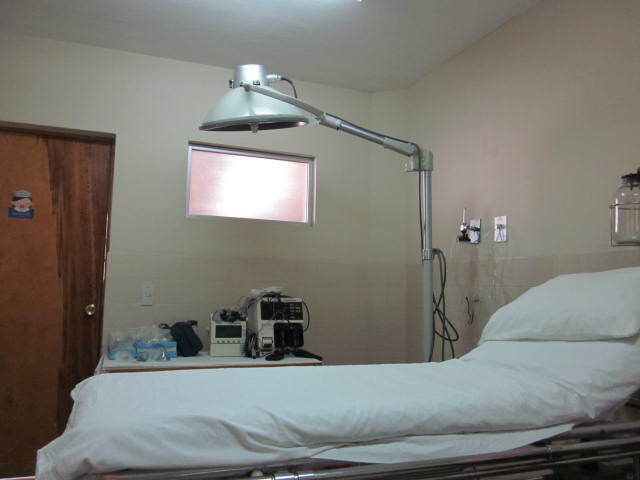 A few of the hospitals in Guadalajara will accept American insurance. But not Medicare. We are out of luck on that one. You will have to contact Dr. Leon directly. I am still in Canada but cannot wait to see finally a good Dr. in Ajijic. For 5 month I have a sore throat and mucous in my voice box which effects my throat and my vocal cords. I had a lung function test done which was normal. I do not feel that I have sinus problems or acid reflux. However tests that would give a clearer picture were denied or I would have to wait for over 1/2 year at least. I also have lost weight and because of the constant sore throat and mucous have developed some anxiety disorder. I would like to see Dr, Leon or someone who will provide various test (scopes) to see if something is wrong.